Kalief Browder suicide: Had been held three years on Rikers Island without trial. 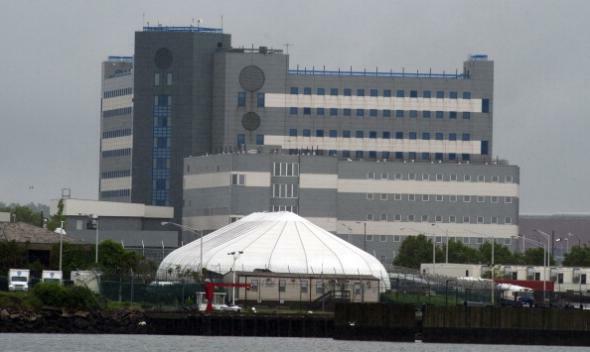 The Rikers Island jail complex in New York City. In 2014, New Yorker writer Jen Gonnerman reported on the case of Kalief Browder, who was 16 when he was detained at New York City’s Rikers Island jail on theft charges—and 19 when he was released three years later, in 2013, without ever having been tried for the crime. An April 2015 follow-up post included video of Browder, who spent a total of two years in solitary confinement during his “term,” being beaten by a guard and by a group of inmates. On Sunday, Gonnerman reported that Browder, who had attempted suicide at least twice before, had killed himself. Last Monday, [attorney Paul] Prestia, who had filed a lawsuit on Browder’s behalf against the city, noticed that Browder had put up a couple of odd posts on Facebook. When Prestia sent him a text message, asking what was going on, Browder insisted he was O.K. “Are you sure everything is cool?” Prestia wrote. Browder replied: “Yea I’m alright thanks man.” The two spoke on Wednesday, and Browder did seem fine. On Saturday afternoon, Prestia got a call from Browder’s mother: he had committed suicide. As of late March, over 400 people had been locked up for more than two years without being convicted of a crime, according to city data that is to be released publicly for the first time. And there are currently a half-dozen people at Rikers who have been waiting on pending cases for more than six years. New York Mayor Bill De Blasio has responded to high-profile Rikers problems such as Browder’s detention by eliminating solitary confinement of inmates younger than 21, announcing plans to reduce the jail’s population by resolving backlogged court cases, and introducing measures to reduce fighting and contraband smuggling. De Blasio is not the only major figure involved in Rikers issues—on the initiative of federal prosecutor Preet Bharara, the Department of Justice has joined a class-action lawsuit that alleges systemic inmate abuse at the jail. The resolution of that case will likely involve a reform agreement between plaintiffs and the city of New York regarding issues such as the behavior of corrections officers and other Rikers staffers; many guards and employees are accused of committing unlawful violence against inmates and of smuggling drugs and weapons into the jail facility.